The Simpsons Tapped Out for Android received a minor update yesterday on the Google Play Store. The update did not bring a new version number so the game still remains on version 4.4.0. Electronic Arts has not revealed what the update has to offer, but it it clearly aimed at fixing bugs and improving the performance for Android devices. Especially since it was not released for iOS users. 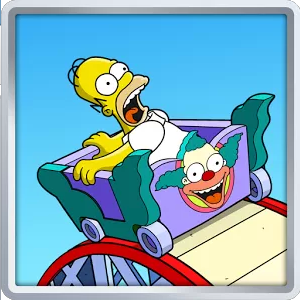 The latest version of The Simpsons Tapped Out introduced the Krustyland theme park, which lets users build an all new theme park area with rides, games, mascots, quests and more. You can read all about the new update along with our walkthrough here. In case you missed it, we also have an updated MOD for 4.4.0 which supports the recently released Krustyland update. While the update doesnt seem to have any new features, we would like to hear from you in the comments section if we have missed anything.